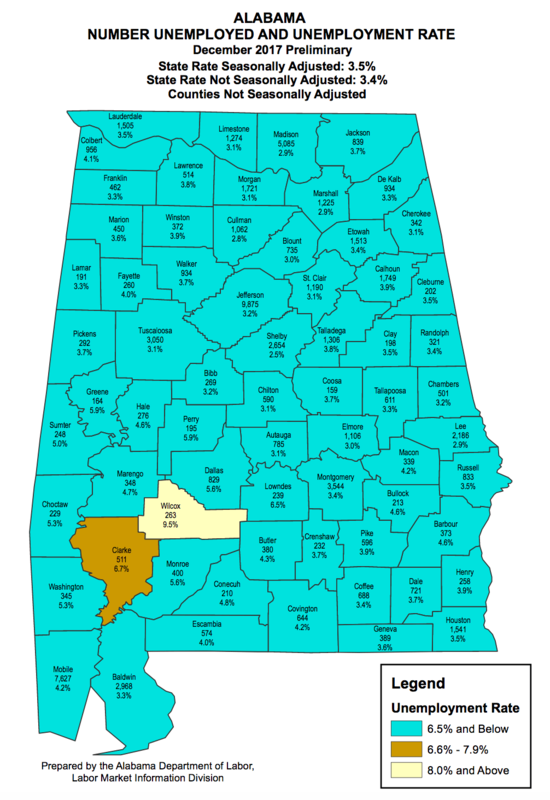 Governor Kay Ivey announced on Friday that 2,093,063 people were counted as employed in December, the most ever recorded. Alabama’s preliminary, seasonally adjusted December unemployment rate is 3.5%, maintaining last month’s record rate. The new figures also indicate the Yellowhammer State is ahead of the national employment average as the U.S. jobless rate is holding at 4.1 percent, a 17 year-low due in part to President Donald Trump‘s policy initiatives. Fitzgerald Washington, Secretary of the Alabama Department of Labor, said Alabama surpassed economists predictions for 2017. Over the year, wage and salary employment increased 32,500, with gains in the leisure and hospitality sector (+8,700), the construction sector (+6,100), and the manufacturing sector (+5,800), among others.